Hover or click on the image to stop the animation. 1. 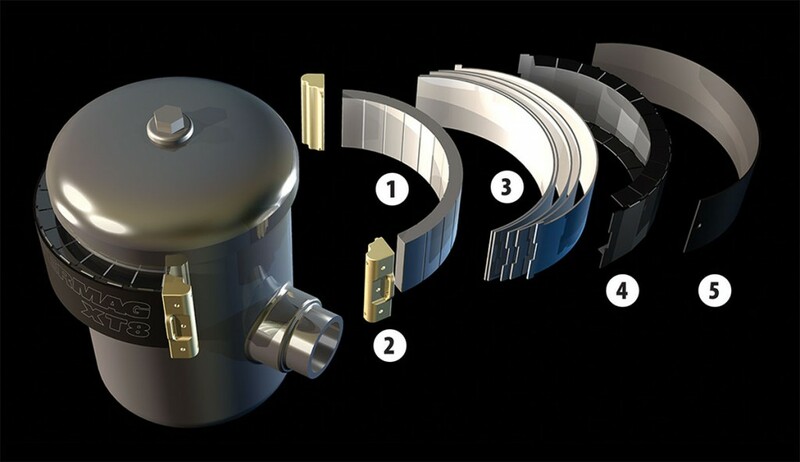 EXTREMELY POWERFUL, HEAT-RESISTANT NEODYMIUM ALLOY MAGNETS are engineered to focus a magnetic field inside your filter through even the thickest canister walls. Specifically formulated to remain effective in the most extreme environments, our magnets are guaranteed to remove particles from oil operating at up to 300ºF while most magnets start losing magnetism at 180ºF. 2. 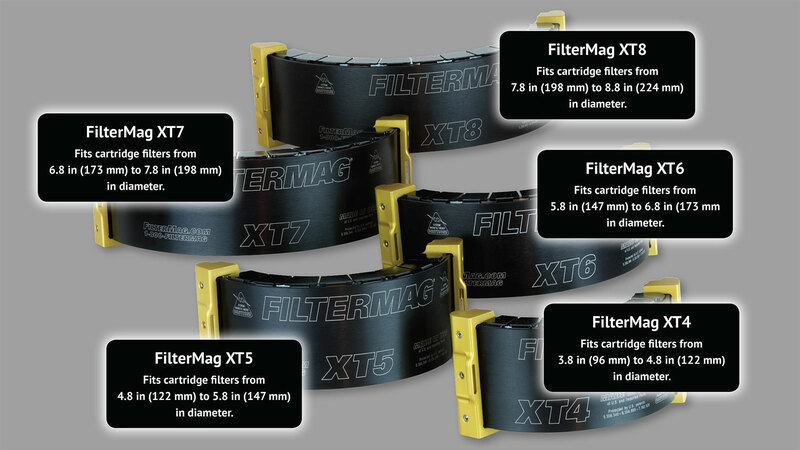 SECURITY END CAPS integrate all the parts of a FilterMag XT while allowing enough flexibility to fit a range of filter housing sizes. Our proprietary anchoring technology ensures component integrity even under extended periods of extreme vibration. Built in slots for use with stainless steel band clamps allow attachment to aluminum filter housings or for redundant security when used in an overhead environment. 3. 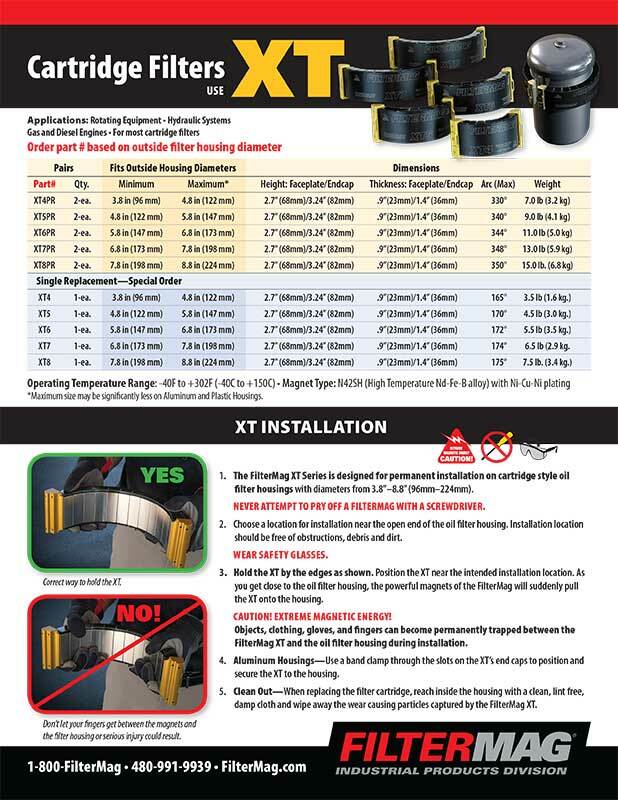 PATENTED FLUXCON™ SHIELDING TECHNOLOGY stops magnetic flux from emanating out the back of the FilterMag. 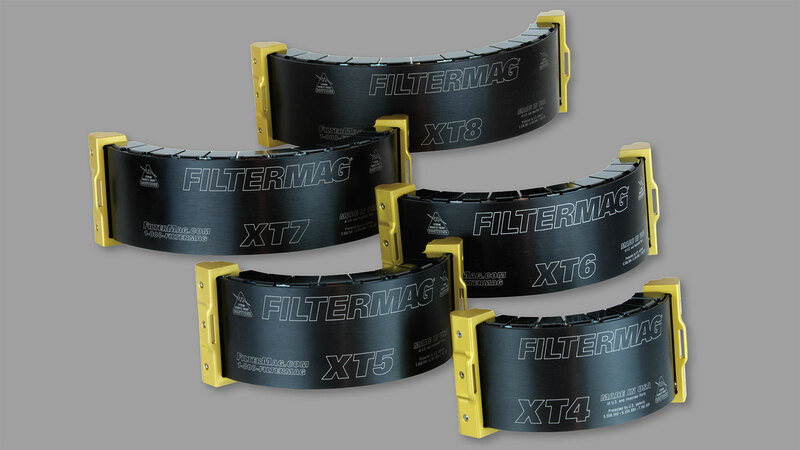 Our FluxCon™ system also redirects a portion of that magnetic power back into the filter to increase filtration efficiency.